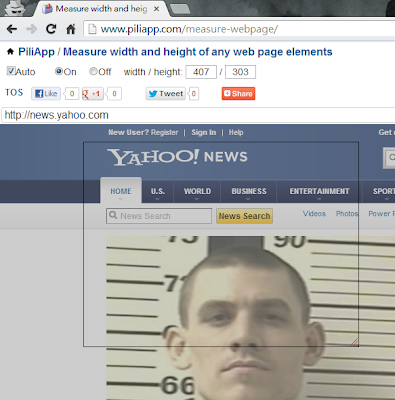 This tool can measure width and height of any web page elements in pixels. Mouse drag to create a ruler. It like an online version of "Measureit" extension/addson, but no installation required.